With Toyota Business Plus from Lehane Motors Toyota, we can tailor a lease package to suit your needs and budget leaving you to grow your business. Welcome to Lehane Motors Toyota BusinessPlus – your business partner committed to your success and dedicated to exceeding expectations. 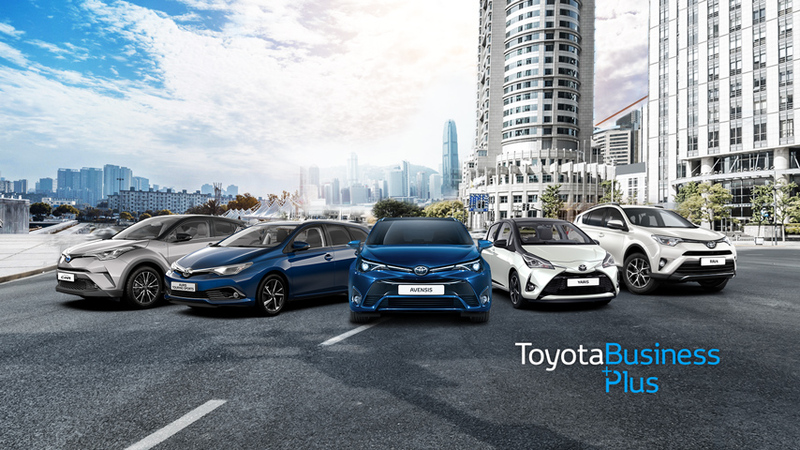 By understanding your individual business requirements, we can ensure you receive tailored solutions and the products, advice and support you need.Toyota Business Plus makes its easier than ever before for your business to enjoy the benefits of driving a brand new Toyota – for less. Toyota Business Plus is our new fleet management service, catering specifically for small to medium size businesses all across Ireland. It makes acquiring a new, more efficient Toyota - more affordable than ever before by allowing you to pay for the use of the vehicle rather than having to own it. For one simple monthly payment, Toyota will tailor a vehicle solution that perfectly fits your business needs. Delivering predicable costs that improve cash-flow. Big business or small – we’ll design the perfect match for you. We don’t just provide you with the perfect vehicle. We’ll manage it for you too, leaving you to concentrate on the really important things – like growing your business. We will do it all, from booking your vehicle in for servicing and organising annual road tax, to replacing tyres and organising courtesy vehicles.This can be yours for one set monthly payment. Its fleet vehicles made easy. Call us today on (021) 481 7700 to arrange an appointment with our dedicated Toyota Business Plus Manager.